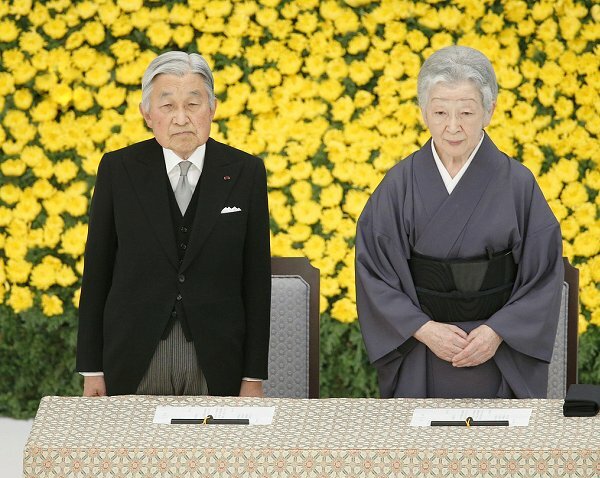 On August 15, 2016, Japan's Emperor Akihito and Empress Michiko attended a memorial service ceremony marking the 71st anniversary of the Japan's surrender in World War ll at the Nippon Budokan in Tokyo, Japan. Hm. Those are two strangely shaped flower arrangements on the sides. 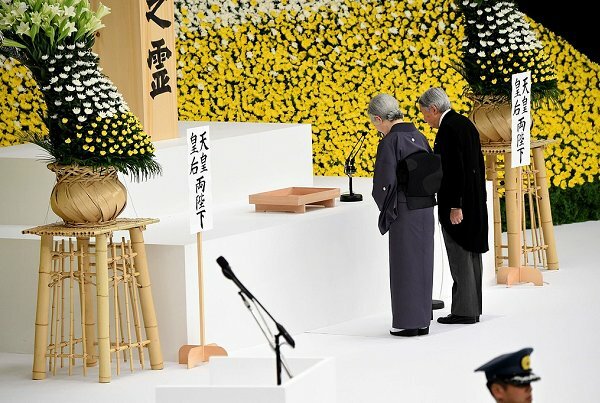 And the tradition that doesn't allow the emperor to resign is a cruel obstination. No one who takes a good look on poor Akihito and Michiko can think otherwise. 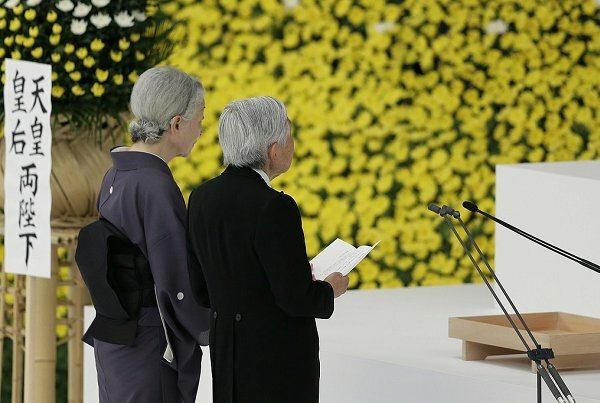 I love the traditional japanese outfits on Michiko by the way. Agreed! They should be able to live out their last years in the mountains walking among cherry blossoms without any stress. For such a country that is so modern in so many ways they remain so archaic in some pretty major ways. I have a friend who lives in Tokoyo and he says that most Japanese are ok with him abdicating and also ok with a female heir. Its the courtiers that still rule the country. Much like the eunuchs did in China. Sad really. 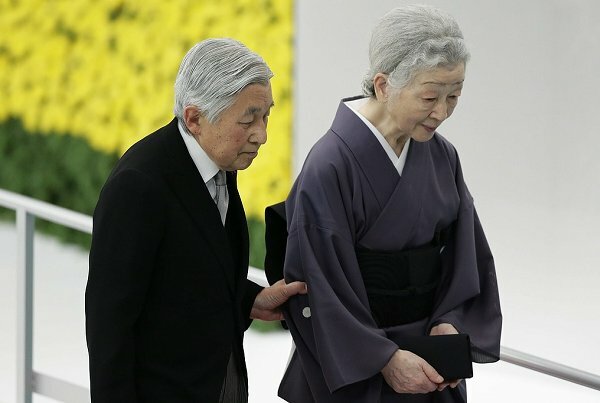 Like porcelain dolls sculpted in the likeness of Emperor Akihito and Empress Michiko. Japan , what a fascinating and multifaceted culture.